The capital city of Puerto Rico, San Juan, is more than just a port of call on your Caribbean cruise or a layover on your way to the BVIs. It is a fun place to experience some culture--a mix between European (from its history with Spain) and latin (from its location)--along with the usual sun and sea you get with a Caribbean vacation. And perhaps the best part is that it is a direct flight from several major cities on the east coast making it very convenient. In just about 4 hours you can be transported from the 30-degree snowy weather in Boston to the salsa club, mojito in hand. It is these two things--culture & convenience--that give San Juan an advantage in my book. Here are my reccos on what to see/do/eat/drink and where you should call home on this island. San Juan has an old, historical center where most of the action (and culture) is however there are not many hotels to choose from in this area and it is sans sand. 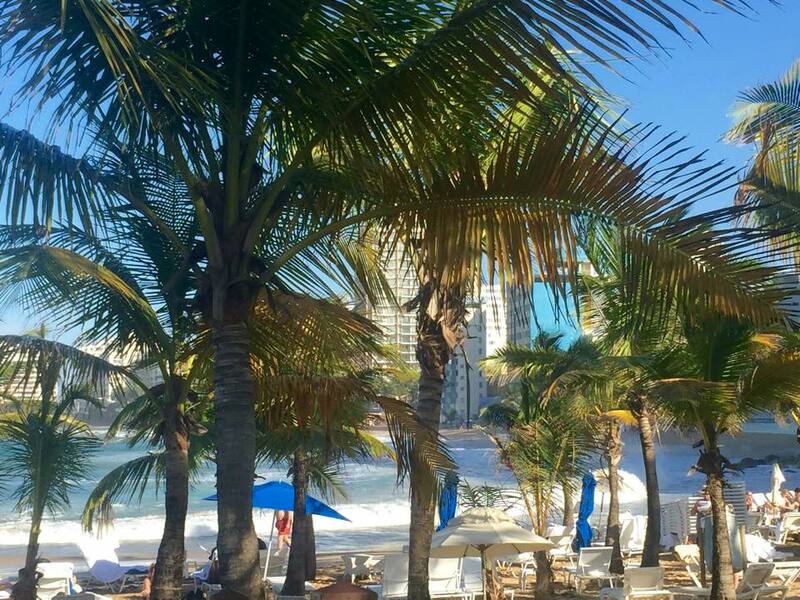 To hit the beach, you must venture outside of the old city walls to areas like Condado or Isla Verde. If you want the nicest beaches in the area, appreciate being close to the airport and don't plan on spending much time in Old San Juan then Isla Verde fits your bill. 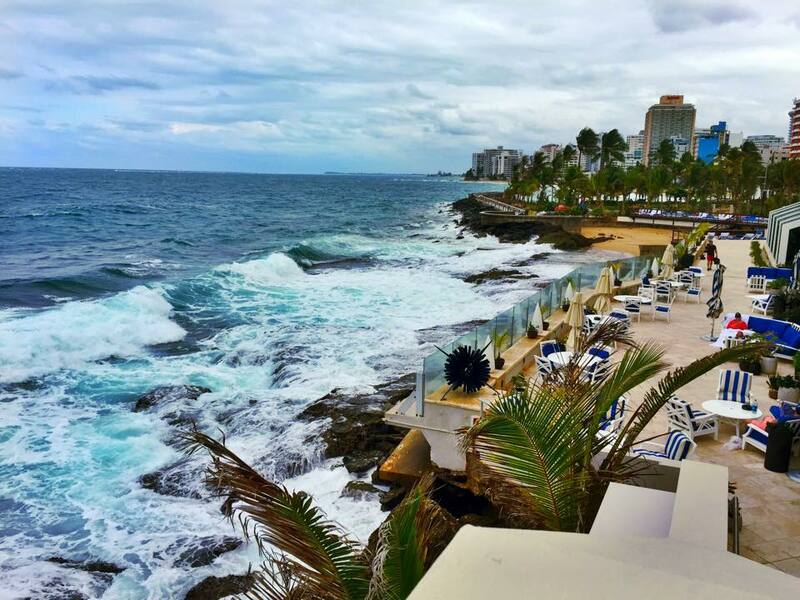 But if you want the best of both worlds--having a (small) beach AND being close to the cultural city center--then Condado is the better choice. Charter a boat - Whether you prefer hoisting the sails or living the lux life there are several ways to hit the high seas. Options include a private luxury yacht charter around San Juan Bay with Charters Puerto Rico and a group catamaran & snorkel tour aboard the Spread Eagle II to the picturesque islands off the shores of Fajardo in northeastern Puerto Rico. Experience a natural wonder - Take a kayak through the Laguna Grande bioluminescent bay located off the shores of Fajardo. The bright blue glow emanating from the water at night is worth the hour drive from San Juan. Check out those terraces...so pretty! Shopping for Panama hats at Ole Curiosidades. So many ribbon options! 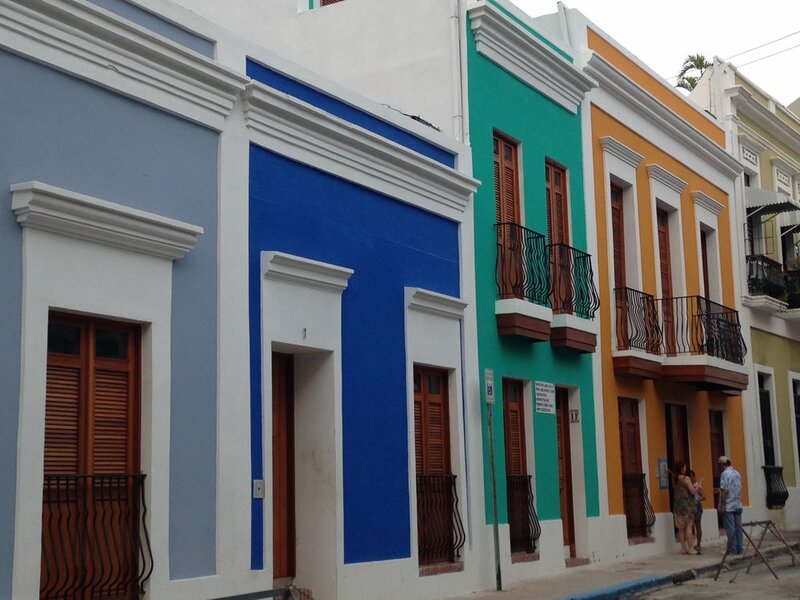 So the next time you're looking to plan a trip to the Caribbean, consider San Juan. The quick, direct flights make it a great destination for a long weekend or you have more time, spend half of your week in San Juan and the other visiting Puerto Rico's gorgeous islands of Vieques and Culebra. Buen viaje! Hola from Old San Juan! Older PostBenvenuto a Boston, Eataly!